Good in good dust jacket. Ex Library Book with usual stamps and stickers. A few small marks to the page edges. Good condition is defined as: a copy that has been read but remains in clean condition. All of the pages are intact and the cover is intact and the spine may show signs of wear. The book may have minor markings which are not specifically mentioned. Most items will be dispatched the same or the next working day. Dennis Lehane is my new favorite mystery writer. His stories have an authentic street voice, a working class attitude and a weary yet wise worldview where justice is a complex concept full of gray areas. Though Sacred is far from his best, it?s still a pretty good read. When a rich and almighty powerful tycoon hires Kenzie and Gennaro to find a missing daughter, the two working class P.I.s find themselves sucked into the immoral playgrounds and illusions of the rich?a place more dangerous than any of the mean streets of Boston. Great book. 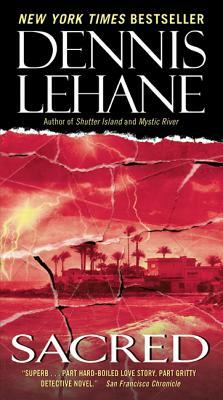 Dennis Lehane is always great, expecially his Patrick and Angela series.